It looks like big brows are here to stay, but not all of us are blessed with perfect, bold arches! 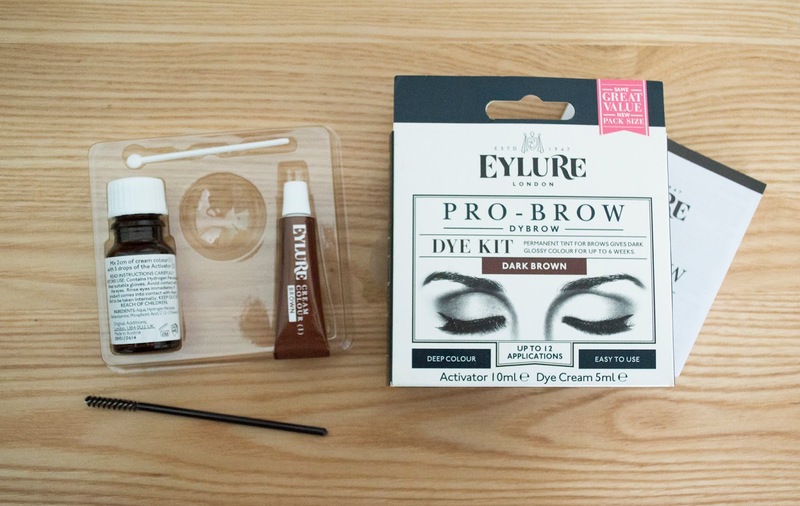 I decided to try Eyelure's Dybrow kit to see if it could make any difference to my naturally thin, light eyebrows. Dying my eyebrows is honestly something that had never crossed my mind before, even in the midst of the Cara Delevingne-inspired brow revolution. But last week, while picking up an eyebrow pencil and some false lashes at Boots, I noticed there was a 3-for-2 offer on Eylure products. 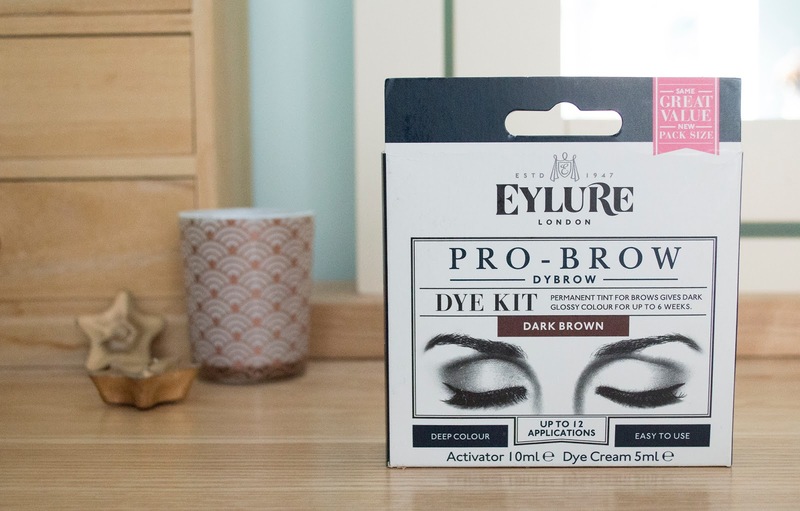 There was really nothing else I needed, and this Dybrow kit caught me eye, so I thought I'd give it a go! In the kit, you can find an instruction leaflet, an activator bottle, a colour cream tube, an applicator (which is actually a mixing wand) and a mascara wand (which acts as your applicator), all pictured below. You'll also need a cleanser, some sort of barrier cream or petroleum jelly (I just used a clear lip balm), some cotton wool buds (Q-tips to our U.S. friends) to wipe any stray dye and cotton wool pads or make up wipes to clean your brows at the end. The process detailed by the instructions is simple, easy to follow, and will feel familiar if you've ever dyed your hair. Though I felt a bit silly smearing lip gloss around my eyebrows (to prevent any stray dye getting on my skin), I must admit the whole thing was a lot quicker and easier than I had anticipated. With the mascara wand, the colour glides on smoothly, and you can gently groom your brows into your desired shape. If the end result isn't as dark as you'd like, the instructions suggest that you apply the dye a second time, which I did. It went against all my instincts to take that "before" photo, let alone post it! As you can see, my eyebrows are naturally very light and thin, which would've been fine in the 90s/00s when skinny brows were all the rage. Now, however, they look over-plucked - they're not, I promise. I guess my brows just weren't built for the Cara era. I always feel I look a bit alien when I leave the house with nothing on my brows, and my friends have picked up on this in the past with some very un-PC jokes! In the after photo, there's a noticeable improvement. My brows aren't a lot thicker (I guess you can't dye hair that isn't there), but they do look a lot darker, and I'm happy with the shade. I'd now feel comfortable skipping the eyebrow pencil if I was in a rush or going for a relaxed make up look, though I'll probably still make them a little thicker and more shapely when I want to look more groomed. The dye promises to last for up to 6 weeks, with the kit good for up to 12 applications, which should mean one kit can last for over a year! We'll see how it goes, but if so that's pretty impressive for a product that retails at around £7.50. What do you think? Would you give eyebrow dye a go? It seems pretty good for £7.50, especially if there is enough in the kit to last for over a year! I love the result as well, the darker shade really suits you! This looks amazing!! My eyebrows are almost black so not sure if it would make a difference for me. This looks amazing! I definitely would love to try this out! Thanks for sharing!